3D-printing business Fluxaxis certainly likes a challenge – even when it’s quite literally a giant-sized one. The company’s experts regularly work with clients on the type of big sculptures that form the centrepieces of stadia and public spaces, and few come bigger than the ‘David and Goliath’ piece it commissioned for artist and sculptor Jam Sutton. Part of an exhibition that was shown at Dublin Castle, the 3D-printed replica of Sutton’s original marble sculpture was produced in three parts, taking 258 hours to print using 15kg of material. It was made possible by the Stratasys Fortus 900mc, a world-leading additive manufacturing system designed to deliver large, complex parts without any compromise on quality. 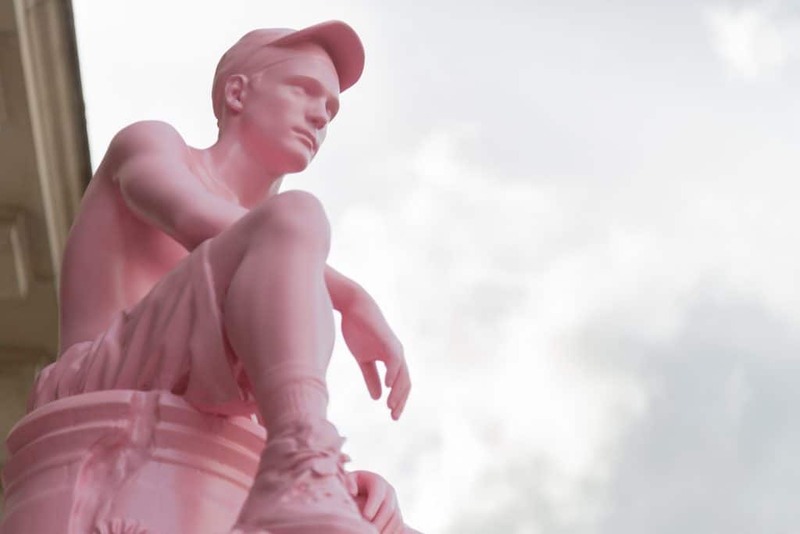 Fluxaxis Production Manager Jake Augur said: “The sculpture had David standing on Goliath’s head, printed all in black and then painted pink. It was a 1200mm high sculpture done on the Fortus 900 in ASA material. 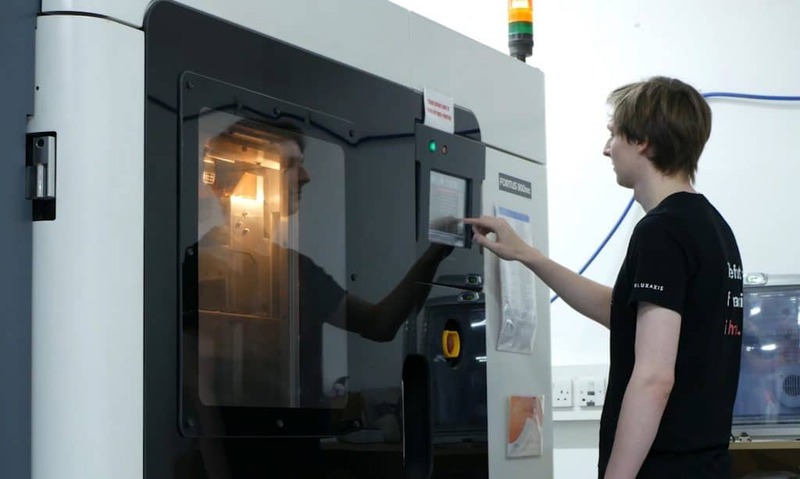 Both of the Yorkshire-based firm’s Fortus machines were supplied by Stratasys UK platinum partner SYS Systems, whose engineers boast a wealth of 3D-printing knowledge for every application. Indeed, it was the FDM (Fused Deposition Modelling) technology pioneered by Stratasys 30 years ago that sparked the 3D-printing revolution and continues to open new doors for manufacturers, designers, engineers, educators and other professionals. FDM works by building parts layer by layer from the bottom up, through heating and depositing thermoplastic filament. Its beauty is in its durability. It uses the same tried and tested thermoplastics found in traditional (but more time-consuming) manufacturing processes, meaning it delivers for applications that demand tight tolerances, toughness and environmental stability, or ones with specialised properties like electrostatic dissipation, translucence and biocompatibility. Mr Augur said: “The F900 can produce parts which are both large and highly detailed in a multitude of layouts and a multitude of materials, so when it comes to engineering especially it’s the machine we focus on because we can offer a more bespoke and accurate material for a client’s needs. “FDM is really the king of all 3D-printing processes. It’s here to stay – there’s no other process which is safer and more reliable in general. Using 13 high-performance thermoplastics, the Stratasys F900 offers the largest build size of any FDM system and is tailored specifically for heavy industries. It can create robust production parts, jigs, fixtures, factory tooling and functional prototypes, utilising an internal camera and the incredibly advanced GrabCAD print software package for streamlined workflows and easier job monitoring. Designs can be changed on the fly, while operators can revise production materials without delaying the overall production schedule. A smaller but no less impressive version of the F900, the Fortus 250 utilises the same software capabilities for rapid prototyping, offering 24/7 operation and ultimate reliability. 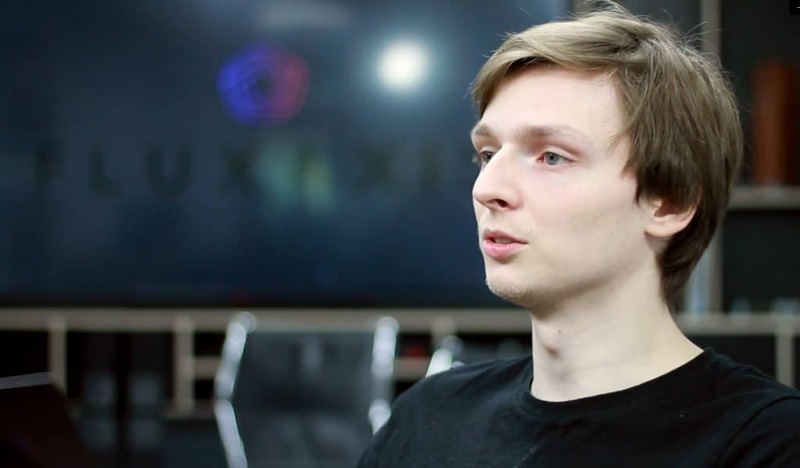 Mr Augur added: “We’ve always had a really great service from SYS. If we’ve had something break they’ve come out the next day, got it fixed and sorted for us. That speed is really important. “I would definitely recommend SYS to other people that are thinking of going FDM, or any other Stratasys technology like PolyJet – you’re always going to get a great service. “We can provide a very quick and effective service to our customers due to the fact that we can run our machines all the time, constantly, with no issues. Rob Thompson, Sales Manager for Derbyshire-based SYS Systems, said: “Fluxaxis and the incredible projects they’re able to deliver provide clear evidence of the power of FDM. “Large-scale production systems like the F900 open a whole new world of possibilities for manufacturers and designers, who are now able scale up the parts they make in top-quality engineering materials and with impressive turnaround times.